Login in to your dedicated server SSH , You must login as a root user to use date command. Just type the date command to know the current time and date in your server. The sample out display in order of month/date/hour:min:sec/Zone/year. If you want to update the correct time, Use the below command to updated the time on your server. Example : server time is 15:47 you wants to update the correct time to 18:58, just edit the numbers in command before your run the command in SSH. If you want to update the correct Date, Use the below mentioned command to updated the Date on your Linux VPS server. 2018 -> year ,11-> month, 28 -> date. Example : server Date is 20181125 you want to update the correct date to 20181128, just update year/month/date in command before your run the command in SSH. Follow the below steps to change the time zone on your server. Login to your WHM control panel. Select the zone from configuration time zone option. 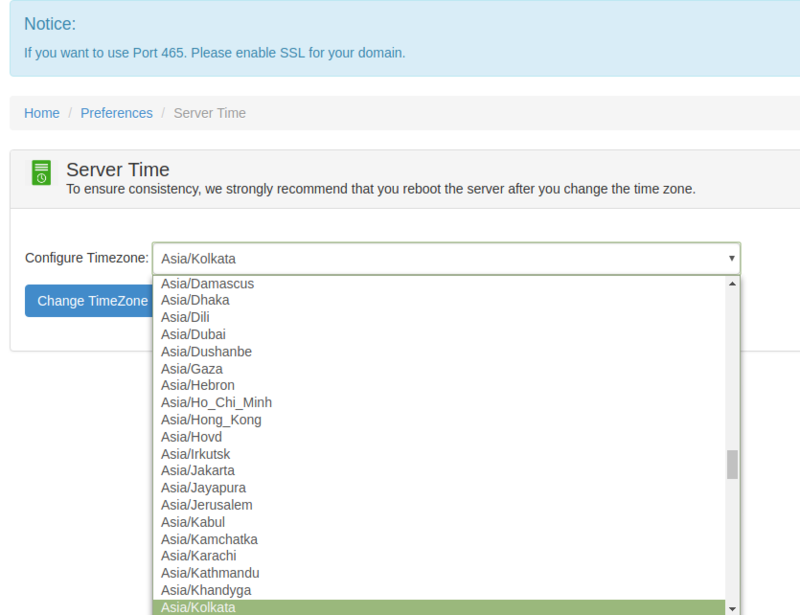 Click change time zone button to update the time zone in server. The default time zone is Asia/Kolkata IST For a example to changing the timezone from Asia/Kolkata to Europe/London. Login to your server through SSH. Run date command to check the time zone.